VOA 현장영어 - How would you like your hair cut? 요즘은 미국에서나 한국에서나 전통적인 개념의 ‘이발소’, ‘barbershop’를 찾아보기가 쉽지 않습니다. 남자들도 ‘hair salon’, ‘미용실’에 가기 때문인데요. 오늘 이 시간에는 미용실이나 이발소에서 사용하는 표현을 배워보겠습니다. A:Hello. How are you today? A:What would you like done today? B:I want my hair shampooed, cut and styled. A:How would you like your hair cut? B:Well, about two inches off the length and could you cut some layers into the sides? B:Whatever you think looks good and makes me look younger. A:OK. Perhaps a little curl to your hair? A:How about a manicure and pedicure? B:Yes, I want to pamper myself today. 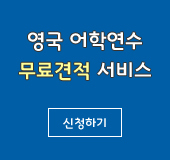 * 여기서는 손님이 이미 머리를 잘라 달라는 말을 했기 때문에 어떻게 자를 건지 물어보는 것입니다. 그렇지 않고 “머리를 어떻게 손질해드릴까요?”하고 물어보려면 “How would you like your hair done?”이라고 하면 됩니다. B:Well, about two inches off the length, and could you cut some layers into the sides? * will do: ~ 여기서 ‘do’는 ‘적절하다’, ‘충분하다’는 의미. 이제 대화 내용 중에서 “어떤 머리모양을 원하세요?”라는 표현을 활용해서 영어로 간단히 대화를 주고 받는 연습을 해볼까요? A:What can I do for you this morning? B:I would like a cut and color. A:What kind of style do you want? A:How would you like your hair done today?